This page contains the research "brickwalls" that I have come up against. 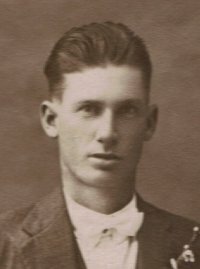 Albert Vincent WILKES was born 22 Mar 1902 in Stuart's River, NSW, Australia, and died 17 Sep 1973 in Evans Head, NSW, Australia. He married Mary Elizabeth FREEMAN on the 22 Nov 1926 in West Kempsey, NSW, Australia. She was the daughter of James FREEMAN and Alice BROWN. She was born 18 Jan 1905 in Beddau, Llantrisant, Pontypridd, Glamorgan, Wales, and died 03 Apr 1981 in Evans Head, NSW, Australia. He went by two names during his life - Alfred Maddalena and then Albert Vincent Wilkes. From what I've been able to work out, he was the son of Mary Louisa WILKES (dau of Thomas Frederick WILKES and Susannah Phillipa GREGORY) and possibly Louis Napoleon MADDALENA. He was born 22 Mar 1902, before Mary and Louis were married in 1907. So both he and Clarence William (b. 1897) appear to either (i) have different fathers to her other children or (ii) have Louis as father but out of wedlock/before Mary and Louis married. I'd love to be able to confirm which. He listed Louis as his father on his marriage certificate to my great grandmother. However, at some stage shortly after the birth of my grandmother (Gwendoline Mary WILKES 21 Oct 1927 Kempsey, NSW, Australia) he changed his name from Alfred MADDALENA to Albert Vincent WILKES and had his childrens names changed as well. I am unable to determine who his father was. If you know, can you please contact me and let me know? I have been unable to find out when Mary Elizabeth Freeman came to Australia. She was born in Pontypridd, Glamorgan, Wales in 18 Jan 1905. I've checked what emigration and immigration records I can find and the only possibility is a Mary Freeman, 7 years old travelling on 26th July 1912 with the Grace Family departing London for Sydney on the "Rangatira". Also travelling on that voyage is an Ernest Freeman, but on a different ticket. James Lewis O'DONNELL was born about 1770. I'm unsure of where possibly County Tyrone or County Donegal. At some stage he married Sarah G Amelia HAMILTON. She was born in Killybegs, Co Donegal in 1775. When and where was James Lewis O'Donnell born? Sarah G Amelia HAMILTON was born in Killybegs, Co Donegal in 1775. 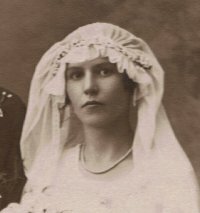 She married James Lewis O'DONNELL and was supposedly disowned by her Church of Ireland family for marrying a Catholic. Once married, they moved to Omagh, Co Tyrone where their children were born. Another enigma is Sarahs' correct name. She is variously listed as Sarah Gantlet Amelia HAMILTON or Sarah Gauntlet Amelia HAMILTON. Either Gantlet or Gauntlet seem to be odd names for a girl. Two thoughts: firstly, it might be a family name or secondly, it's totally wrong. I believe it might be Gwendoline/Gwenolyn as there has always been the family story that this branch of the family was somehow related to a Lady Gwendoline Hamilton. When were Sarah and James married? Who were Sarah's parents? Were they related to the Hamilton's of Fintra House/Estate near Killybegs? What was Sarah's correct name? Zacharias Theophile Canet (Zacharie Théophile Canet) was born in France around 1813. His father may have been Bertrand or Bernard. Both were linen and cloth merchants. Zacharias was listed on the 1841 English Census with his wife, Margaret (Turnbull) as living at Frith St, St Anne Soho, Middlesex and was listed as a Tailor. After this, Theophile disappears from the records. He must have died sometime after the conception of his daughter Margaret, who was born in 1851 and before 30 Mar 1851 when the census was held as his wife, Margaret is listed as a widow. When and where did Theophile die?